If you'd rather be driving a nice sedan but you have a family, a dog and a load of luggage to haul on vacation, the 2010 Honda Odyssey makes for a livable compromise. And, when it comes to resale value, the Honda brand is always a strong performer. 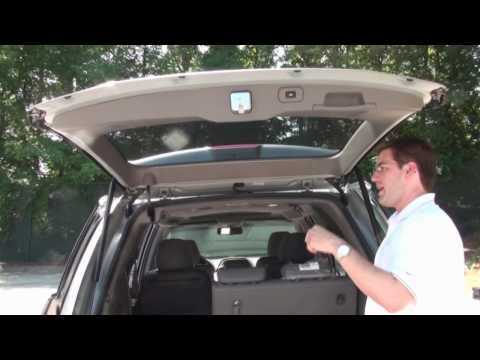 Perfect soccer mom van with ample storage and enjoyable for all riders. This van has been very reliable for us. We have taken multiple 2k mile road trips with this vehicle. It is also the ultimate soccer mom vehicle. I put it through the pick up and drop off lines every day. My husband said he would never drive a minivan, but when he picked this up for me his tune changed. He very much enjoyed the trip to pick this van up for me. We enjoy the dual climate controls up front. The bun warmers are great in cooler weather. The seats in the back are easy to maneuver and fold down. I wish there was a spot to mount the middle seat cushion for when we buy the cup holders down. Having the TV and DVD player in the back is awesome for the kids. And they like using the wireless headphones as well. This allows us to listen to the radio up in front. Sometimes I wish I had a later model so I could have the included vacuum. At times it has been quite expensive to get fixed at the dealership. Luckily a few of the issues we have had were part of a recall, so that didn't cost us a dime. There are a few things that I currently need to have fixed, but there are 120, 000 miles on it so that is to be expected. Overall, I love this van and would take this over my husbands SUV any day. Honda Odyssey-great for families on the go. The Honda Odyssey drives really smoothly. I like the automatic sliding doors and automatic opening back hatch. The automatic doors greatly helps when you have young children. There are five people in my family and there is plenty of room for all of us. We have plenty of room for friends or sports equipment. I like the removable center seat in the middle row. This gives us room for 7 passengers plus a driver. The back row seats fold down flat. This gives me plenty of room for big items. I have bought a larger chest of drawers and a desk and those both fit in the back of the van with the back seats folded down. Even though the van has plenty of room on the inside, it is not too big on the outside. It is easy to drive and park. The back up camera really helps in backing into parking spaces and checking to make sure no children are behind me when I back up. The van is very reliable. I have no worries hopping into my van and going anywhere I want to go. We have driven it on long trips (over 1000 miles) and not had any problems. My van has leather seats. They are easy to clean up any spills my children make. The honda odyssey car the best comfortable vehicle ever. My vehicle is perfect in all..... There are no problems at present..... It goes smooth through the long distance drive..... It is for sure reliable in every way..... Until now i have experience this model the most comfortable car for long travelling..... It has such good seats that are helpful in resting when travelling to a distance..... It has heaters under the front seats..... It has cruise mode which controls the speed on the highways..... Also it has the feature of sticking the tires to the roads on uneven roads..... this car is a 8 seater car..... the back seats can go down folded whenever required..... it is so big in size that we can buy any furniture and bring it in this car itself by folding the back seats..... we can even buy the sofas and bring in this car..... this car is helpful in many ways..... windows lock..... child lock..... self control switch for ac in the back seats..... i love this car most of all other one's..... unless and until i don't get any problems i will for sure stick to this car only till a long time..... my best car ever.